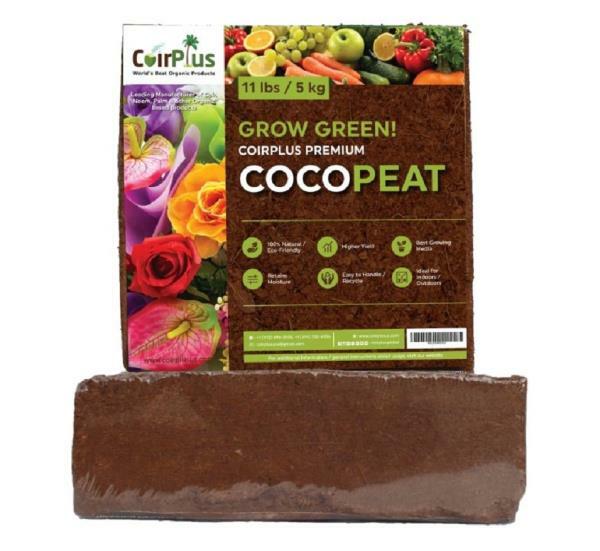 Why growers are excited about coconut coir from CoirPlus? Back home page > Sector news > Why growers are excited about coconut coir from CoirPlus? The soil is losing its nutrients due to pollution, leading to barrenness and decreased productivity. At the same time due to constant growth in the global population, farmers need to produce more and more fruits and vegetables. To understand why growers are more and more excited about using coconut coir, we talked with Mr. VAS, from CoirPlus, one of the leading manufacturers and exporters in Coir / Neem, based in India with its Corporate office headquartered in USA. Coconut Coir is a 100% Natural, Organic, Eco-Friendly, Bio-Degradable & Compostable by-product of harvesting coconut. Coir consists of coarse fibers extracted from the husk on the outer shell of a coconut. ”Coir becoming more and more popular among growers, because of its superior water holding capacity, excellent air space and drainage. Coir is an ideal replacement for soil, as well as an excellent additive to the soil to increase yield. It is superior compared to other growing media - Vermiculture, Peat moss, Rockwool, Foam, etc.”, - explains Mr. VAS. „Coir is resistant to bacterial and fungal growth and has almost ideal neutral pH between 5.2 and 6.8. This means coco coir is ready to use for most plants without adding lime”. With over 16+ years of industry expertise, CoirPlus is the pioneer in providing result oriented solutions for all Green houses and Horticulture business. Their Coco Grow Mats first in the World received Organic certification and became OMRI Listed in USA (World’s leading Organic certifying agency). In addition most products by CoirPlus are organic and can be used for organic farming. „We`ve started selling coir on Amazon, Ebay and Etsy. Less than 3 weeks, our Coco Grow Mat received Amazon’s Best Seller Rank. Farmers are receiving higher yields while using CoirPlus products and therefore demand for CoirPlus coir is steadily growing”, - ends Mr. VAS. Company recently added to its assortment 100% Natural, Eco / Planet Friendly, Bio-Degradable & Backyard Compostable Palm Leaf Dinnerware (replacement for Paper / Plastic / Styrofoam) products. At this moment, CoirPlus exports Coco Peat from India to 16 different countries USA, Canada, Australia, United Arab Emirates, Netherlands, Algeria, France, Germany, Spain, South Korea, Malaysia, etc. More company information: Coir Plus Inc.